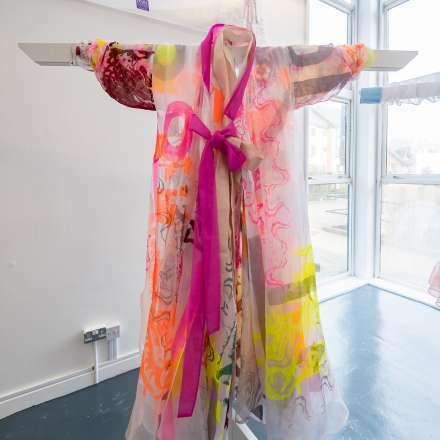 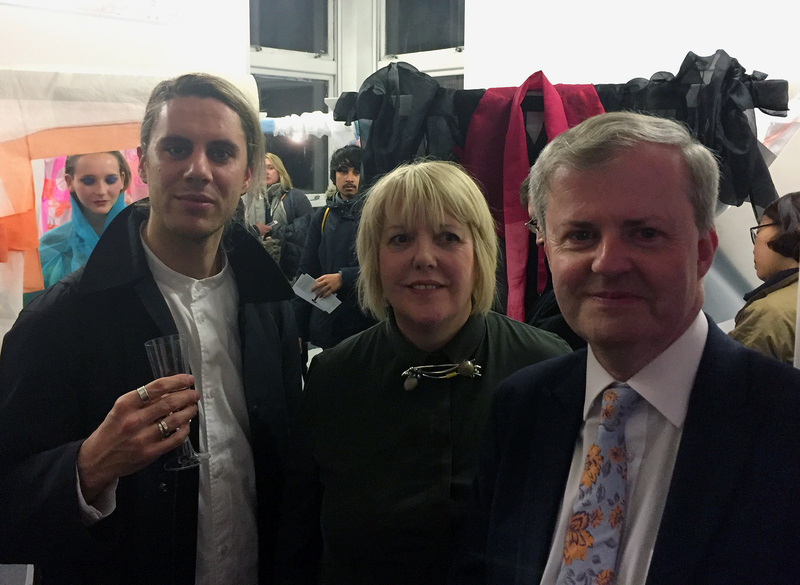 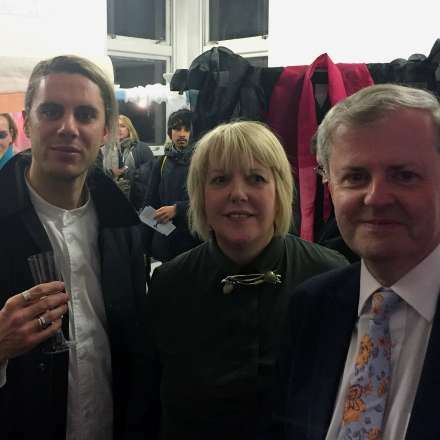 Eight groups of Kingston School of Art fashion students displayed their interpretations of the garments, alongside intricate exhibits stitched by the Royal School of Needlework's BA(Hons) Hand Embroidery for Fashion Interiors, Textile Art students. 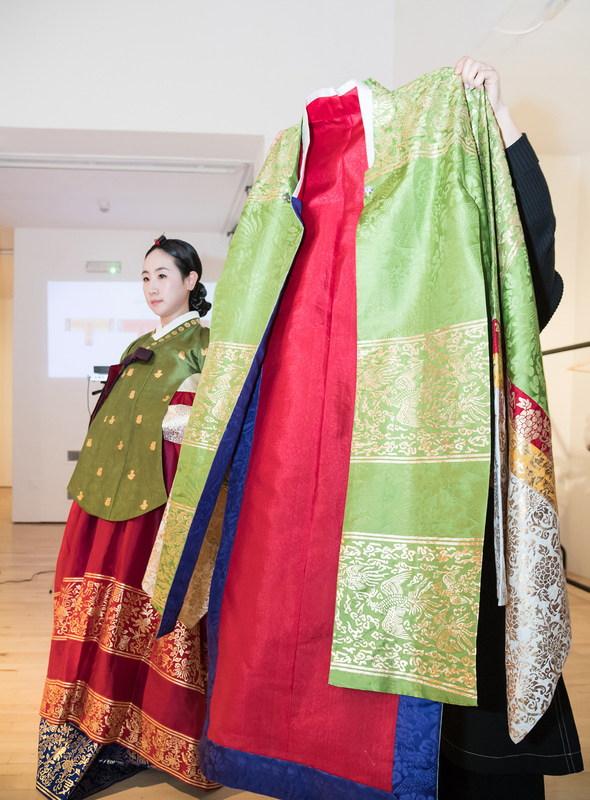 The exhibition's opening event included preparations for a traditional Korean dressing ceremony, during which an audience of students, staff and community leaders watched on as models were meticulously dressed over a 30-minute period. 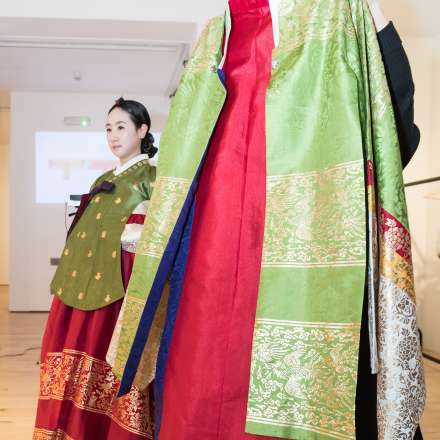 Literally meaning Korean clothing, Hanbok is a garment worn during traditional festivities and is characterised by vibrant colours and simple lines. 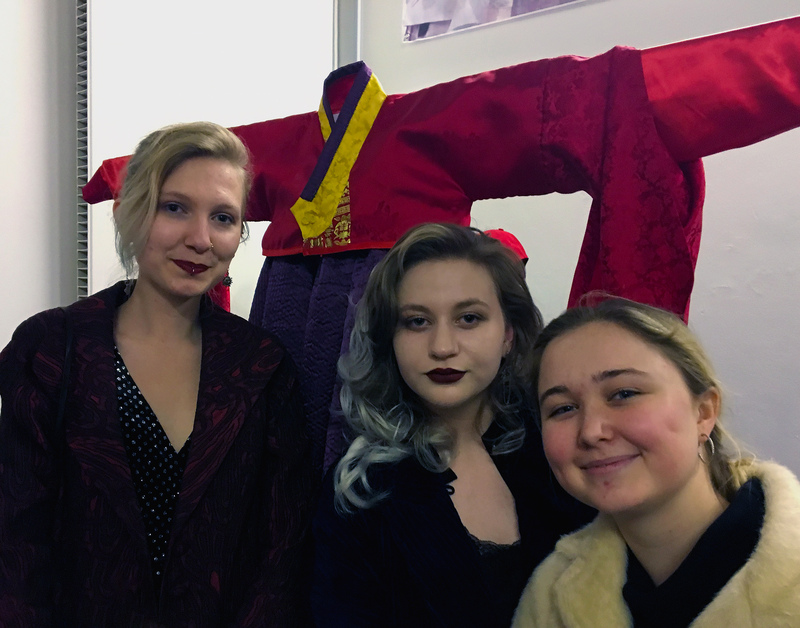 The project got under way after representatives from the Hanbok Centre in Seoul visited Kingston University earlier in the year to present specialist skills workshops and provide fabrics and workbooks for students from both institutions. 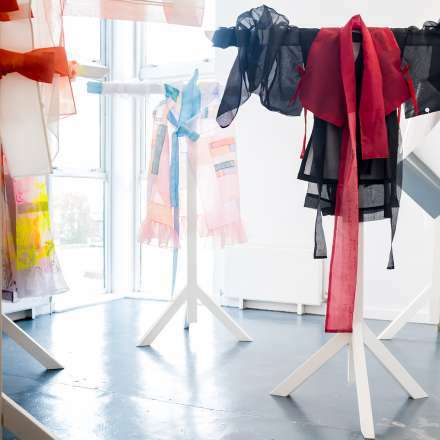 Fashion designer and project lead Nabil Nayal said the collaboration had been an exceptional opportunity for students from two nearby institutions to study traditional dress and blend it with their work in a modern way. 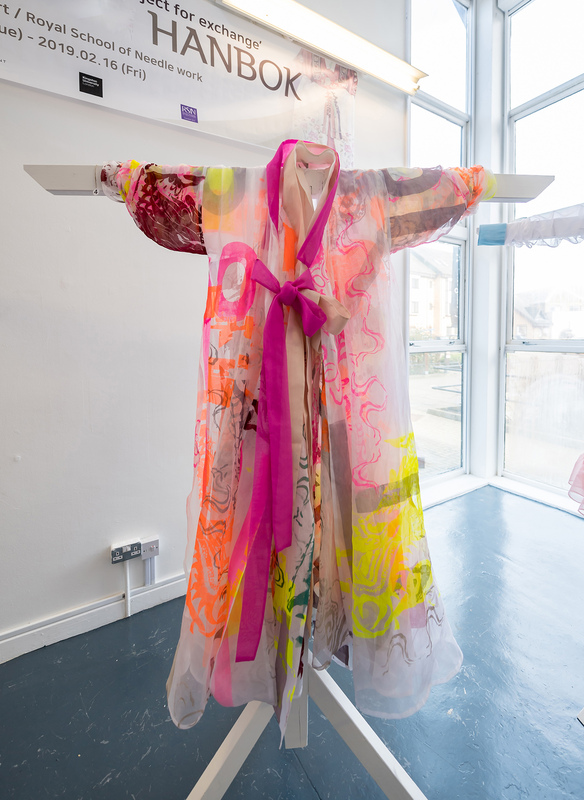 "We encourage our students to push creative boundaries and conduct in-depth research" he said. 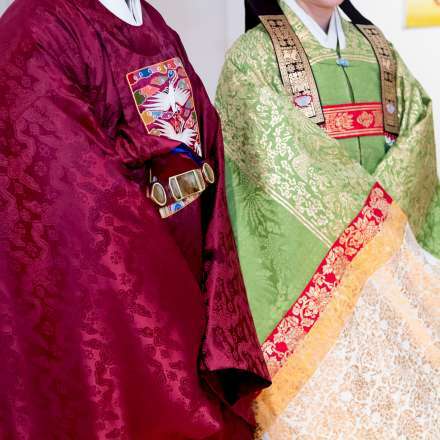 "This project gave them an opportunity to look further afield at traditional dress from a different part of the world and examine how to integrate that into their designs while respecting Hanbok culture. 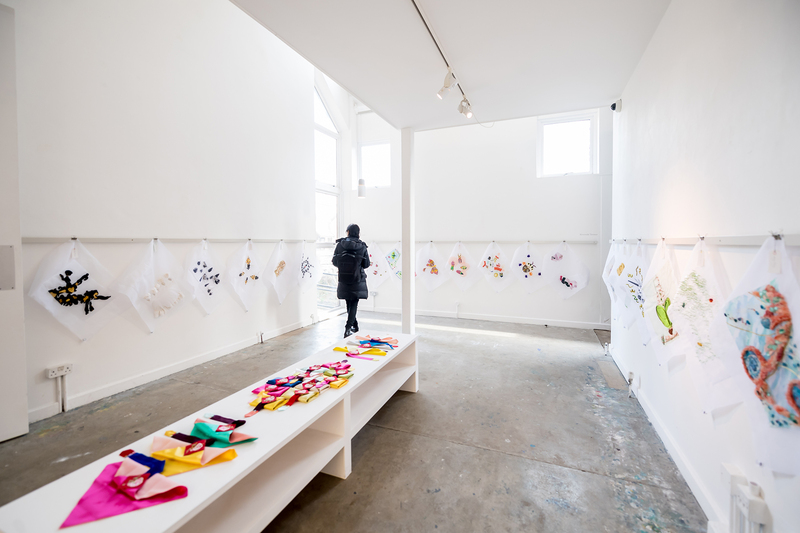 The students have been bold and developed designs true to their vision - those who were brave and experimented most yielded some particularly exciting results." 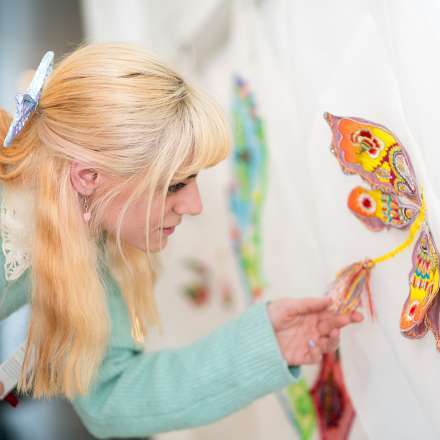 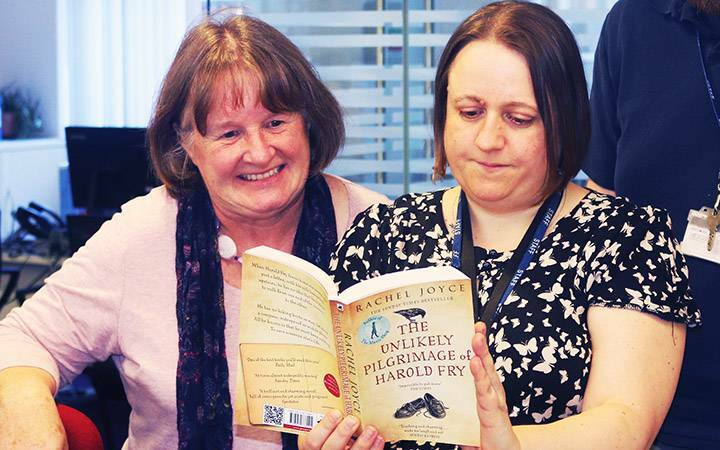 Royal School of Needlework degree course leader Angie Wyman said the collaboration had been a powerful way for the two institutions to combine students' talents and share ideas on a project that challenged traditional thinking. 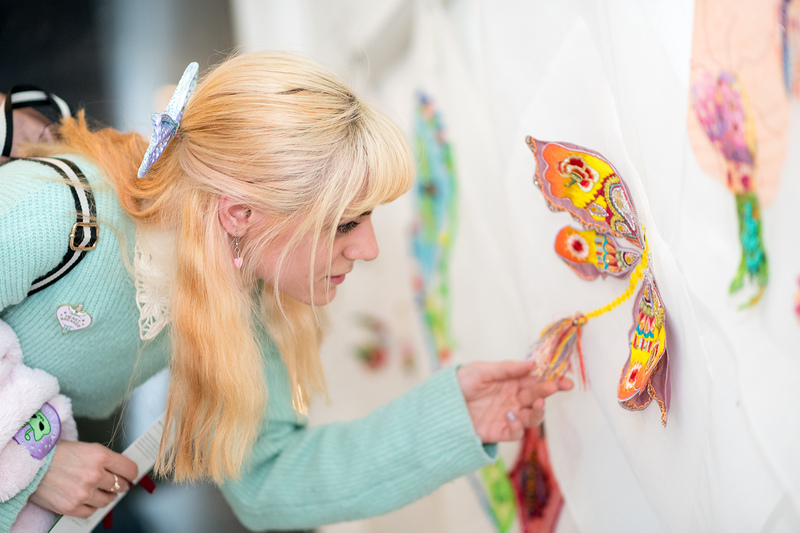 "Stitch is truly a universal language that holds no bounds and offers an inspirational way to learn about different cultures," she said. 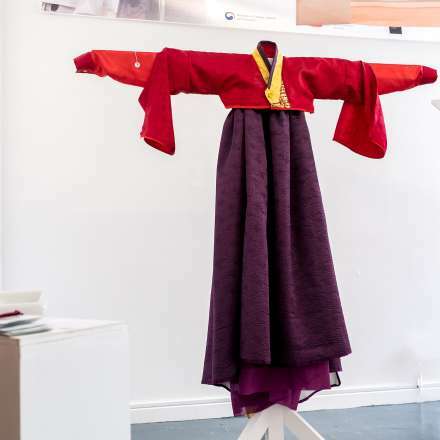 The Hanbok interpretations created by Kingston School of Art students were displayed at the University's Stanley Picker Gallery. 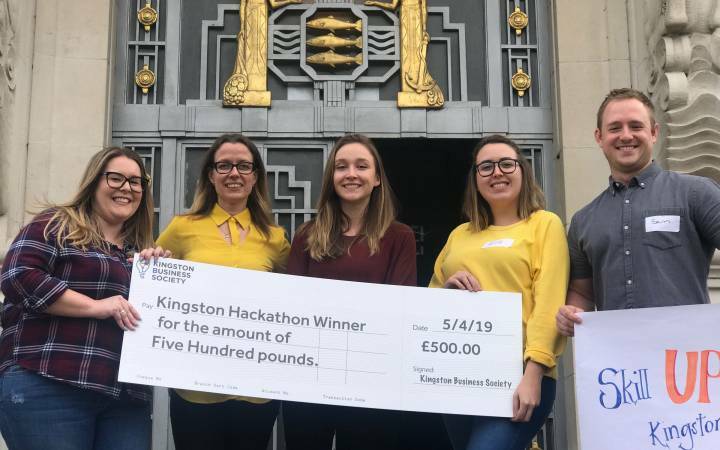 Second year Kingston School of Art students Emma Caldas, Molly Moreton and Ffion Martin said they had relished taking on the task. 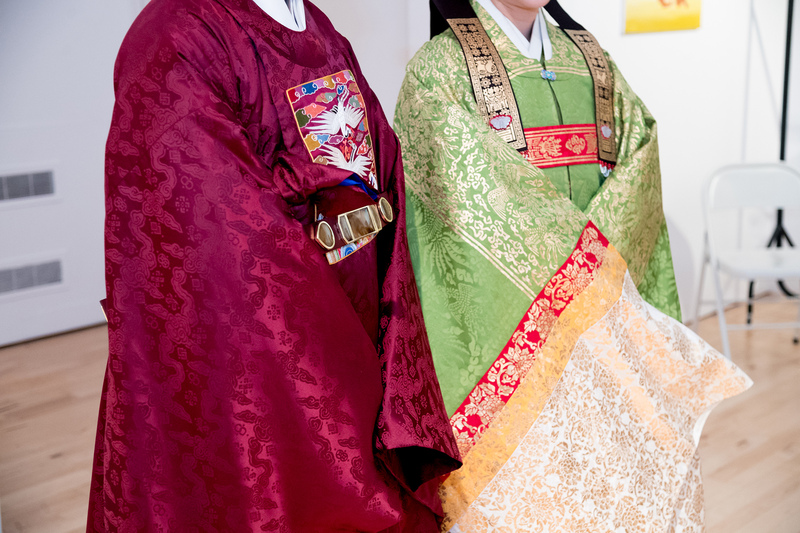 Their design was inspired by small details of English Edwardian tailoring while retaining distinctive features of the Hanbok, such as its big silhouette and striking band. 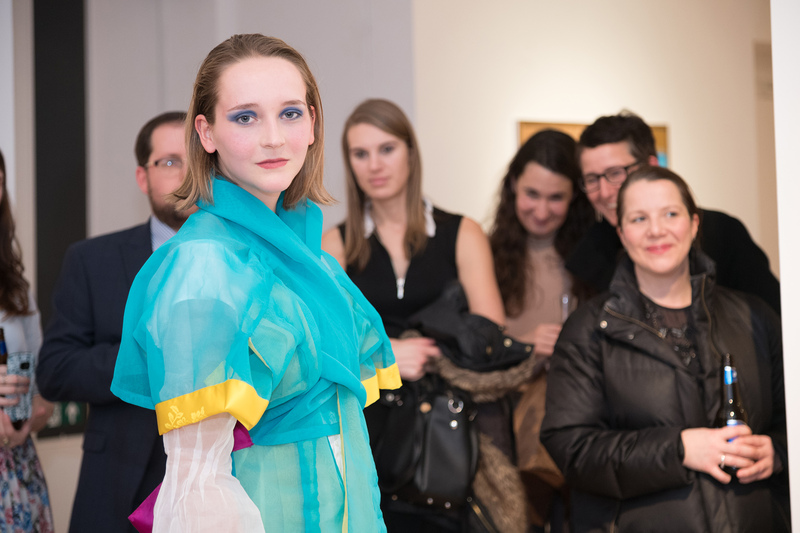 "Ours was probably the most traditional looking exhibit and the fabrics we were given to work with were beautiful and rich," 21-year-old Emma said. 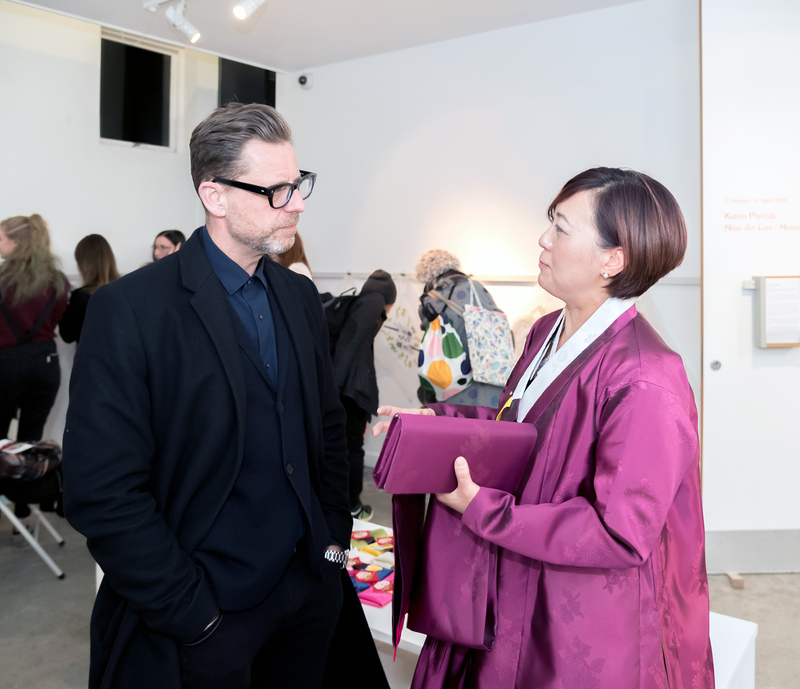 "The opulent red and regal purple skirt combined beautifully and we added in a touch of English heritage with a sleeve underneath and a cuff with traditional Hanbok buttons." 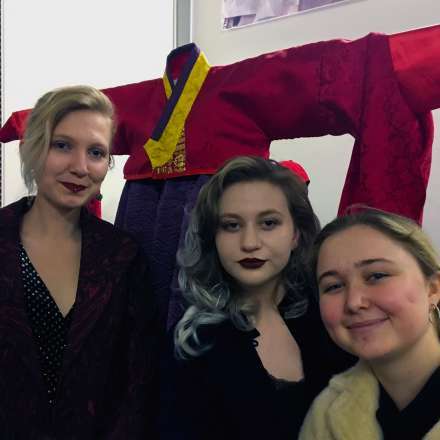 The experience was particularly invaluable for Emma and Molly, who hope to spend a year studying abroad in Korea. 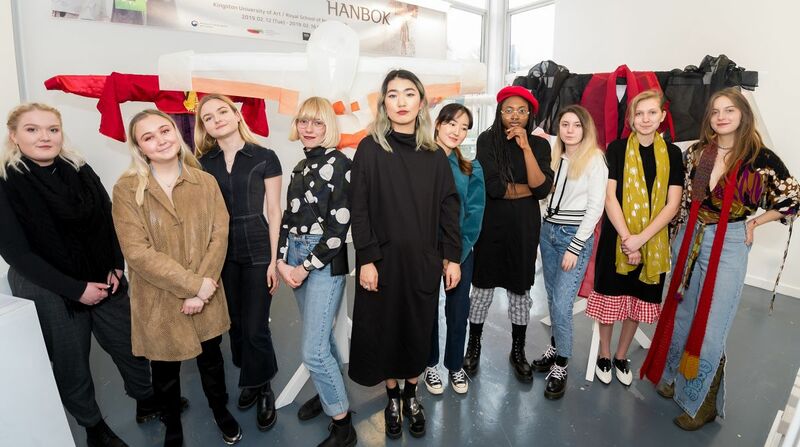 "The emphasis on teamwork and time management gave us a sense of working on an international collaboration, preparing us for a career in the fashion industry," Molly said. 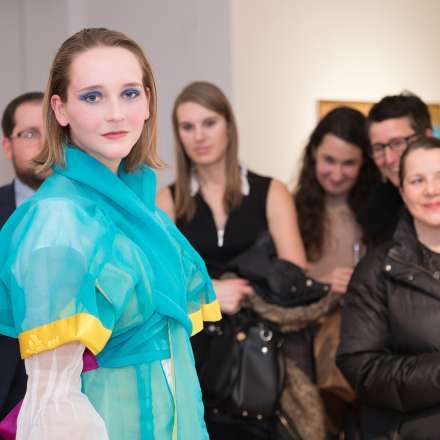 "As a group, we learned so much form each other." 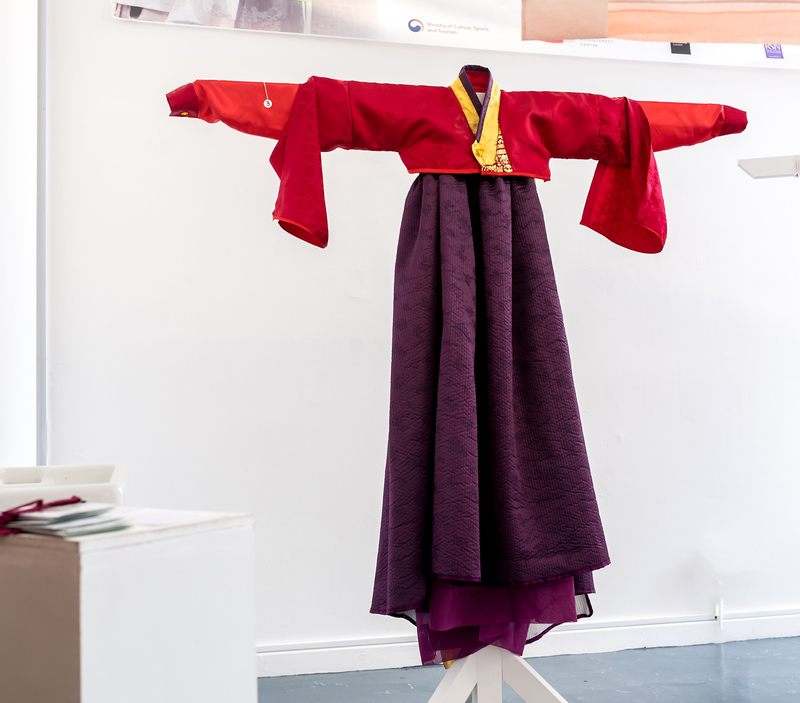 To highlight the blending of cultures, fellow Kingston School of Art students Mathilde Baud and Justin Rivera decided against exhibiting their Hanbok in a traditional sense. 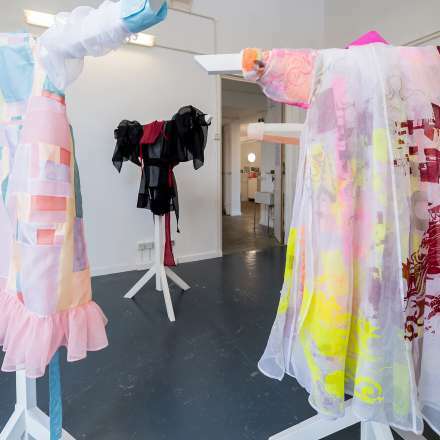 Instead Mathilde wore their sportswear-influenced design around the gallery during the exhibition preview. 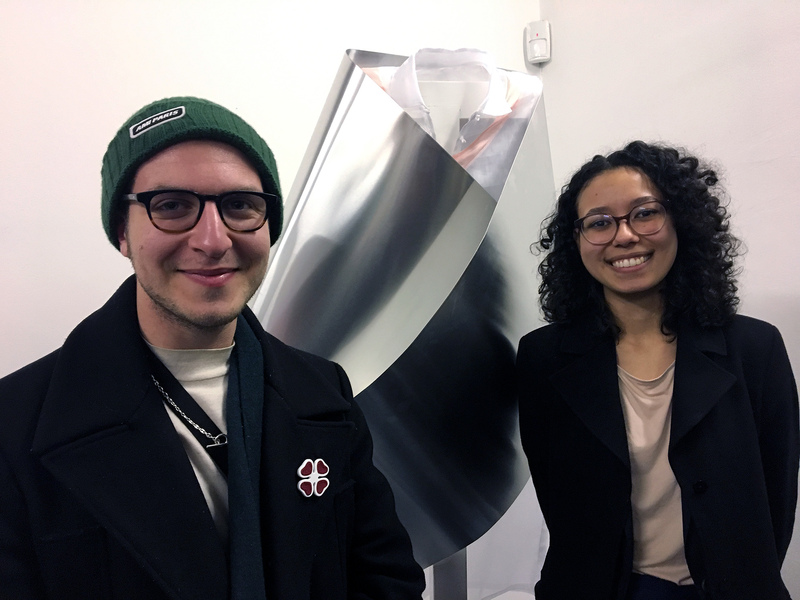 Meanwhile, exchange students Jonah Solomon and Kiara Julien, from Canada's Ryerson University, saw the project as an opportunity to highlight the beauty of merging cultures. 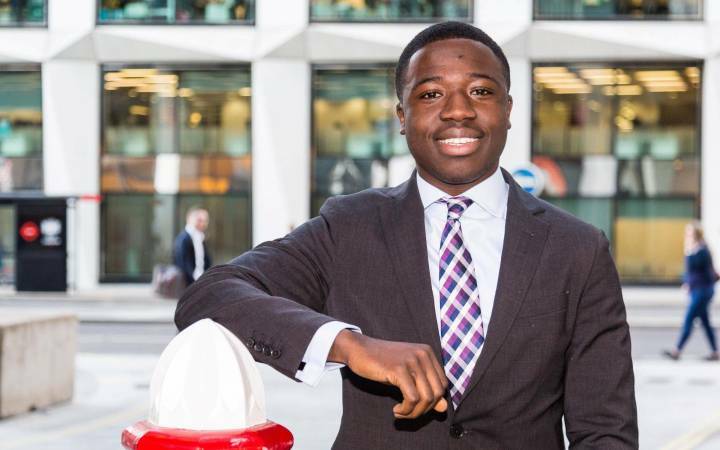 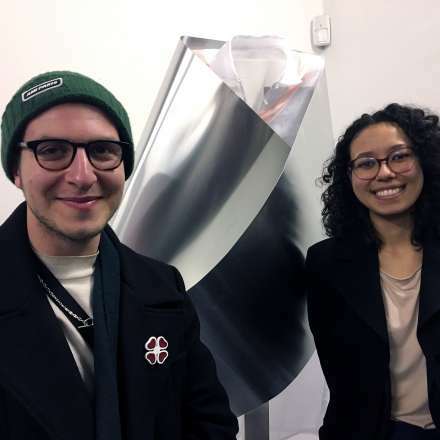 "The collaboration demonstrates the benefits of listening to people and appreciating their culture, adapting it and finding the beauty that comes from it to make something far from the original source but that still shows its influence," 20-year-old Gareth, from Toronto, said. 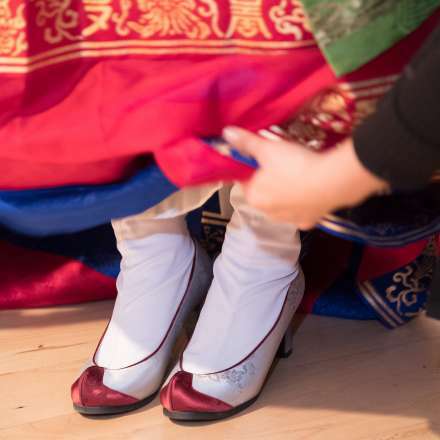 "There is so much turmoil in the world due to cultures clashing, so to see people inspired by a foreign culture is beautiful." 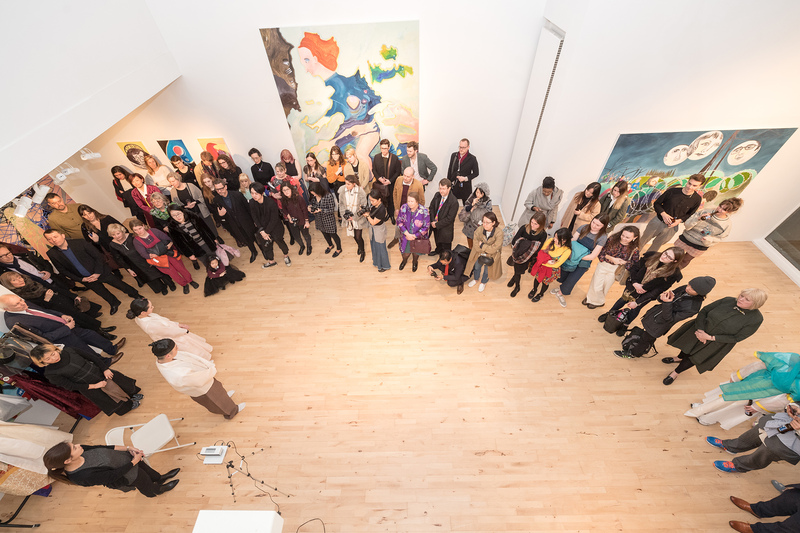 The borough of Kingston upon Thames is home to London's largest Korean community, which numbers approximately 20,000. 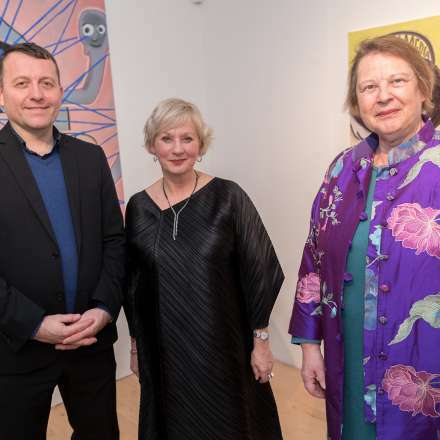 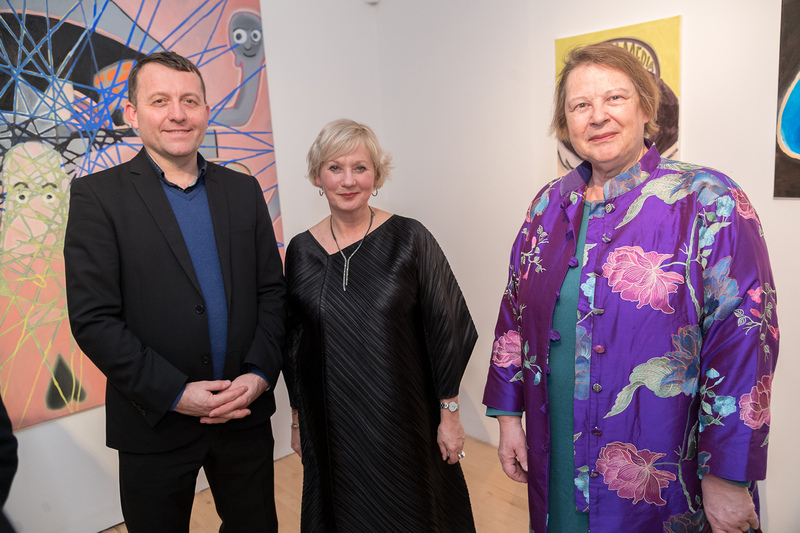 Kingston School of Art has a long tradition of producing work to enrich its community connections, with the latest project brought about through a link up with Korean British Cultural Exchange trustee Justina Jang. 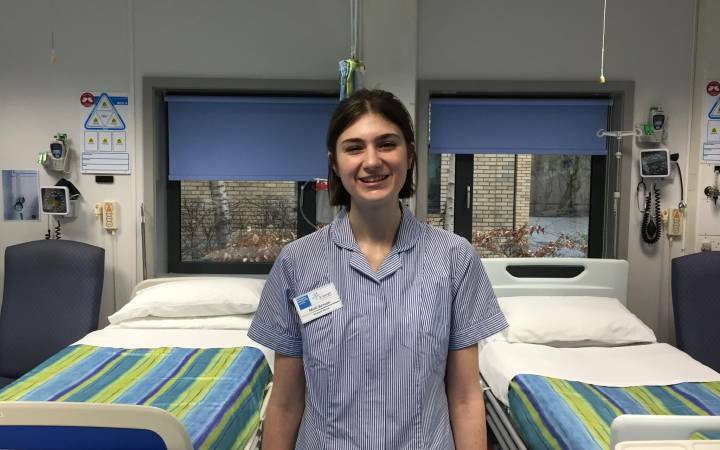 "The outcome has been incredible," she said. 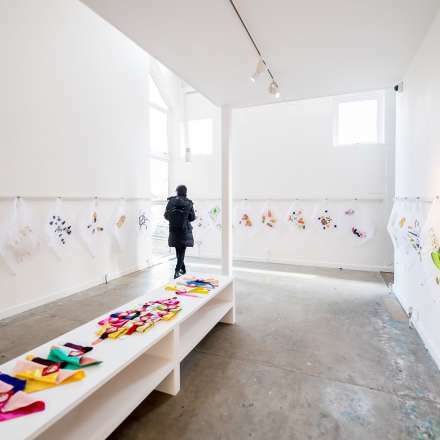 "The Kingston School of Art and Royal School of Needlework students have captured and conveyed the Korean spirit with fresh ideas and fresh eyes. 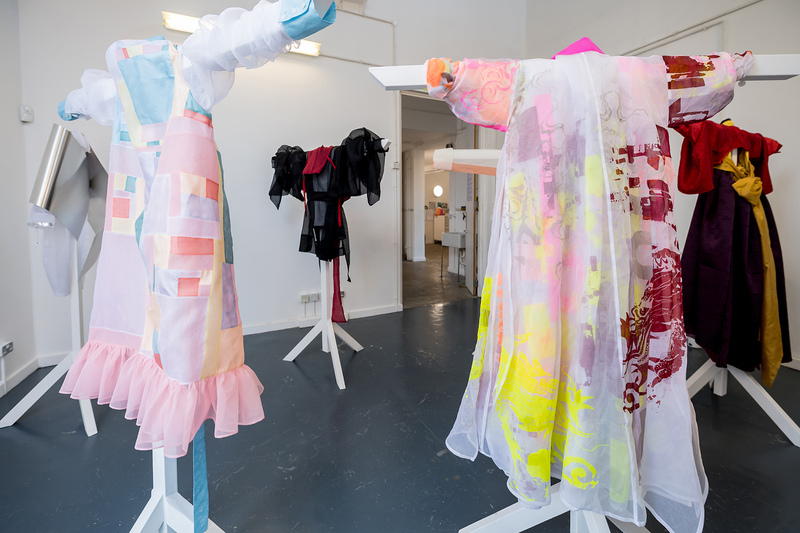 I would love to wear the pieces they have created - they mix Korean customs with a contemporary feel and British sensibilities," she said. 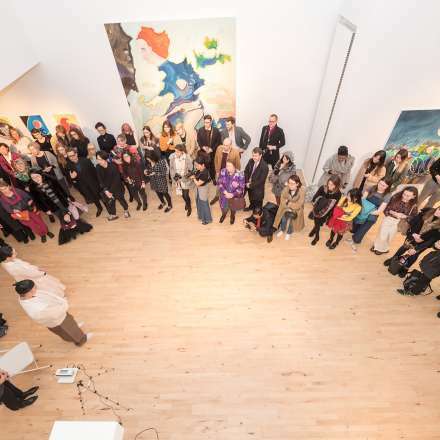 The exhibition is set to be showcased in Seoul at the end of the year. 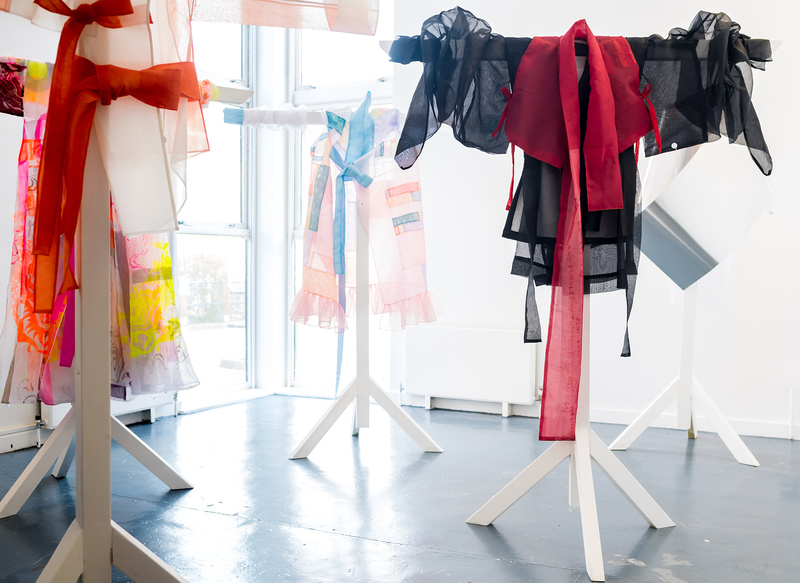 Find out more about studying fashion at Kingston School of Art. 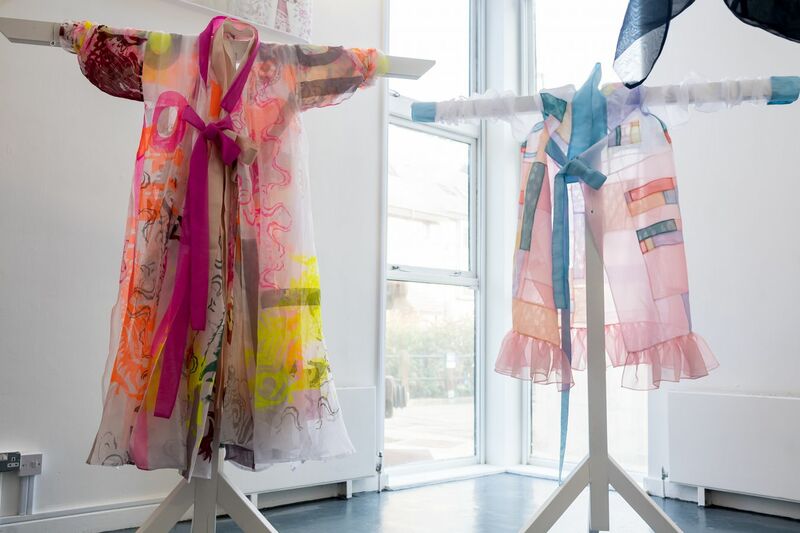 The Hanbok created were captured in eye-catching illustrations by Erasmus student Nataliya Grimberg.